Commerce. 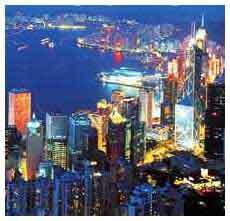 The name of the city “Hong Kong” seems almost synonymous with the word “commerce;” this is a city devoted to trade. Wherever you walk, whatever you are doing, you see business being transacted all around you in Hong Kong. Piquant aromas of food are also never very far away. This place has a non-stop buzz of activity. 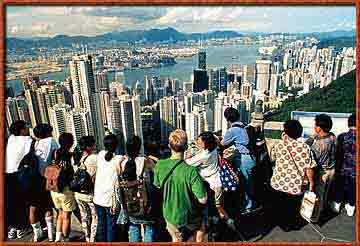 If New York is the city that “never sleeps,” Hong Kong never even yawns. Being here is a real eye-opener for a small town guy from Idaho like myself. As you probably knew, Hong Kong was until recently a British Colony which in 1997 was returned to the Peoples’ Republic of China, following completion of a 150-year lease, originally extended to the British Crown some might say, “under duress,” following the opium wars. It is now governed as the “Special Administrative Region” of Hong Kong, administered as a separate entity from the rest of China, under the policy of “one country, two systems.” Very little outward change has occurred since the hand over, other than for the obvious substitution of Chinese flags for the old British ones. In addition, the typical red British Letterboxes on the street have been painted green at a cost of 1 million U.S. Dollars. The PRC Army is nowhere to be seen in Hong Kong, as they are restricted to barracks, as was the old British Army before them in recent times. The Hong Kong police, as before, seem to be present in great numbers almost everywhere in the city. The trip started inauspipciously, in the Singapore Airlines Business Class (“Silver Kris”) lounge at the San Francisco Airport. Unlike other Silver Kris Lounges, this one was a dump, with hideous purple carpeting and chairs covered in either reddish maroon or pastel blue cloth, even uglier than the carpeting. Tables were made of chipped plastic covered pressed wood, and lighting was provided by numerous cheap black halogen torchiere floor lamps. Completing the atmosphere was Muzak “elevator” music, fake plastic potted plants, and scattered “Heatdish” reflective electric heaters, suggesting that the climate control system doesn’t work. I was going to take a picture of the place, but I might be accused of substituting a picture of the San Mateo Greyhound bus terminal waiting room. Fortunately, this did not set the tone for the actual flight. I was seated on the upper deck business class section of the 747-400 “Megatop” Singapore Airlines plane where I enjoyed exceptionally pleasant surroundings, food, and service, all served up by those beautiful and charming Singaporean ladies. 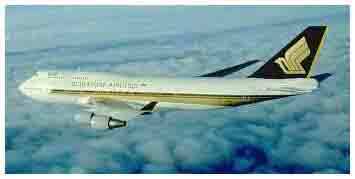 I was told that after age 30 you are all washed up as a stewardess on Singapore Airlines. Very pleasing to my sexist gaping politically incorrect eyes. My only disappointment was my poor tired feet. Somehow I’d gotten the impression that in business class those beautiful Singaporen ladies give foot massages on request. Shortly after buying my ticket, I was informed by my Singaporean friends Mycroft and Feder Haus, that this enhancement is not afforded on Singapore Airlines. To get this level of service one must fly on Thigh Airlines. I looked longingly across the tarmac for a Thigh Airlines plane, however there were none to be found. The Hong Kong Airport is brand new and very futuristic; it is quite simply the nicest airport I’ve ever seen. I wish I’d had a little time to explore it, but alas, the airport was not on my tourist itinerary! 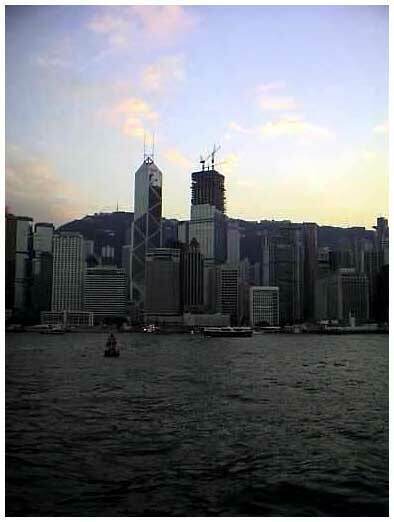 The portions of Hong Kong of greatest interest to tourists are located on Hong Kong Island and the Kowloon peninsula, easily connected by subway and ferry. There are a number of ways to get into the city from the airport and I chose a double decker bus which stops at major hotels in Kowloon; the fare was about $5 USD. A brand new high speed rail link is also available at about 3 times this cost. My hotel accommodations were arranged with the help of Andy Tam and Chris Ingram, both Timezoners and residents of Hong Kong. After arrival at my hotel and a quick shower, I set off for the Peninsula Hotel for lunch with Chris in the “Gaddis” restaurant. 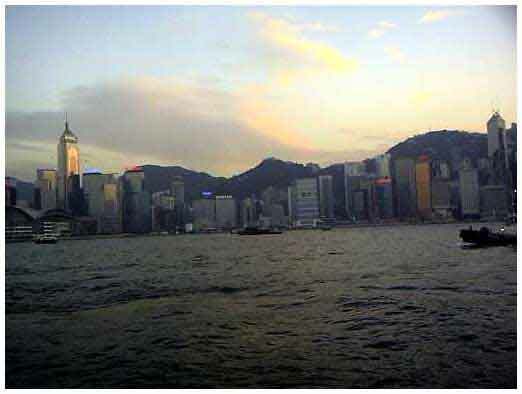 This was located a few blocks from my hotel, in the heart of the tourist area “Tsim Sha Tsui on the Kowloon Peninsula. 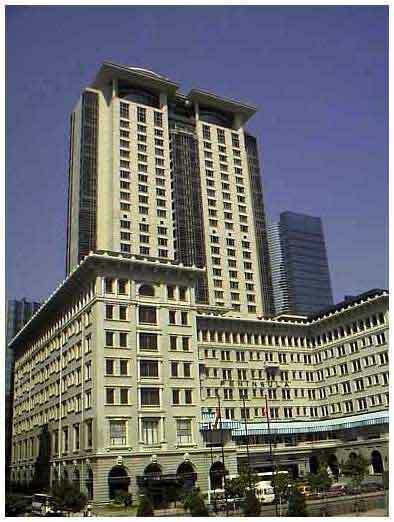 The main hotel building is the oldest hotel structure in HK and one of the grandest with real old world charm. The hotel, which directly faces the water, has been kept up in fine shape, and has a strongly British “colonial” feel to it. I wouldn’t want to pay the tab to stay there, but walking through the lobby is free of charge and to be highly recommended, as is the businessman’s set lunch I enjoyed with Chris. Although relatively expensive, the $350 HK ($50 US) tab for the three course meal, including also a glass of wine, was well worth it in the context of eating out in Hong Kong, which is in general NOT cheap. At lunch Chris and I discussed many topics both watch and non-watch related. Chris has spent the last 11 years in HK and is now working with an Asian investment and securities group as their in-house tax adviser. He enjoys food, hi-fi, and spending time with his lovely wife. He recently has become very interested in watches, largely he says because of Timezone and the great contributions he finds there. Watches worn were a Lange 1 in YG with silver dial by Chris (discussed in Chris’ recent bulletin board post) and a vintage IWC Mark XI adorned my wrist. Chris explained to me that HK Island is mountainous and therefore heavily urbanized around its periphery. Only 10% of the land mass is urbanized with the rest being lush tropical woodland. 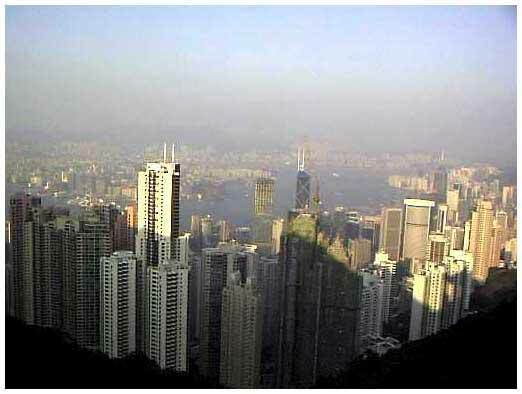 While most people’s impression of the territory of Hong Kong is of its dense urban areas, 60% of the total land mass is designated as country parks. Chris suggested many activities for me to do in the afternoon, and I already had tentative plans to meet Andy for dinner that evening. After lunch I returned to my hotel, touched base with Andy, and arranged to meet him late for dinner on Hong Kong Island in one of the major shopping areas. Prior to meeting Andy I did some window shopping in Kowloon, then took the MTR subway from TST, under the harbor, to the Hong Kong side. Getting off at the Central station, I proceeded past many watch and other shops bound for the “Peak Tram,” a major tourist site in Hong Kong. At $28 HK (about $4 US) a return ticket, this site is well worth a visit. 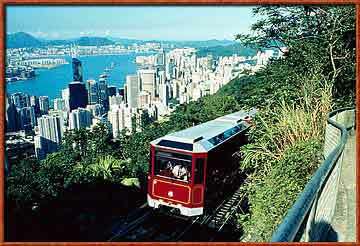 The Peak Tram is a nearly vertical tandem railway going up the steep hillside behind the Central district on the Hong Kong side. The line is very reminiscent of those you see in Switzerland, and in fact the equipment is Swiss made. The railway dates back approximately 100 years. Going up the mountain and at the top, are many residential and commercial high rise buildings. The line itself runs in what resembles a trough between the buildings. At the top are vast panoramic views of Hong Kong marred only by the ever present thick smog; Chris informed me that the smog was actually fairly mild during my visit, and is often much worse in the dead of summer when the air is still and temperatures and humidity both higher. Compare the above two photos; the one on top is the one I took, and the one on bottom is the official Hong Kong Visitors Bureau photograph. The smog is clearly visible on mine but cannot be seen on their photo. After hiking around a bit on top, I took the somewhat nauseating ride back down to the Central district.